When it comes to gastrointestinal issues, irritable bowel syndrome (IBS) is the most common functional disorder in the world. Many people living with IBS experience a painful mix of diarrhea, constipation, abdominal cramps, bloating, and gas. 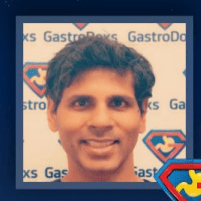 Fortunately, Bharat Pothuri, MD, and the team at GastroDoxs in Cypress, North Houston, Texas, can provide relief from those painful symptoms and help you regain normal intestinal function and live a healthy life. If you suffer from any of these symptoms and are looking for answers, call or schedule an appointment online. We are located in Greater Houston. IBS is a chronic condition that impacts your large intestine. Everyone has the occasional bout of diarrhea, constipation, or painful gas, but when those conditions persist, it may be time to schedule an appointment with Dr. Pothuri. While IBS is not an inflammatory disease or a precursor to colon cancer, it can certainly affect your ability to enjoy your daily life. The symptoms of IBS may also indicate a more serious problem, which is what makes screening so important. Researchers have not discovered an exact cause for IBS, but they believe that several factors combine to create the disorder. The walls of your intestines are made of layers of muscle that contract in a rhythmic pattern to move food through your digestive system. When those contractions are too strong or too weak, your system can’t function properly. Problems with your nervous system can also lead to IBS. If your gastrointestinal nerves are sending the wrong signals to your brain, your body can overreact to the normal digestive process. That can cause both pain and changes in your bowel movements. How can IBS be managed at home? The largest aspect of managing IBS is recognizing what triggers it and then taking steps to avoid those triggers. It can take time to learn how to manage your lifestyle and diet, but it is possible to find relief. For many people in Greater Houston, certain foods trigger IBS, but the list varies from one person to the next. One way to determine which foods to avoid is to begin with a very bland diet, then slowly add foods that are known triggers to see how your body responds. Other ways to find relief from the symptoms of IBS include reducing stress in your life, getting plenty of sleep, and taking steps to improve your overall health.